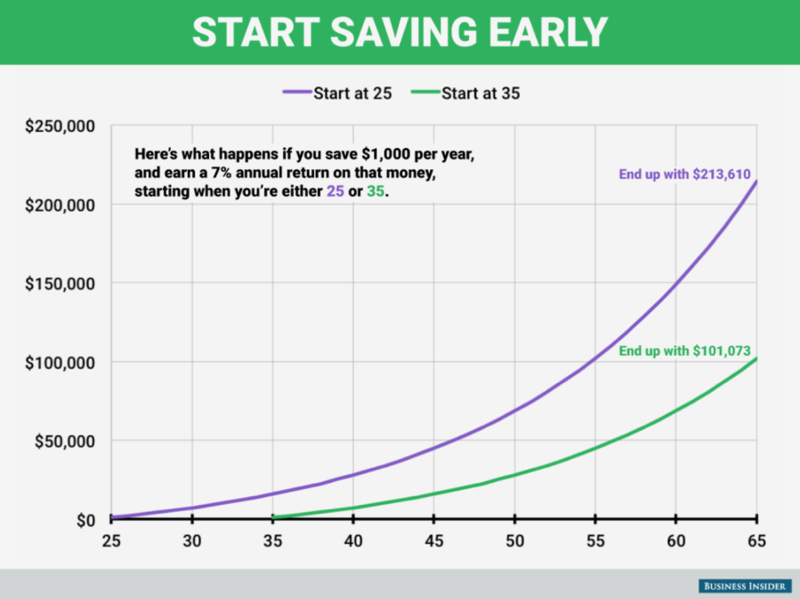 Want to begin saving for your retirement in your 20s? Let financial advisor Matt Logan help you. 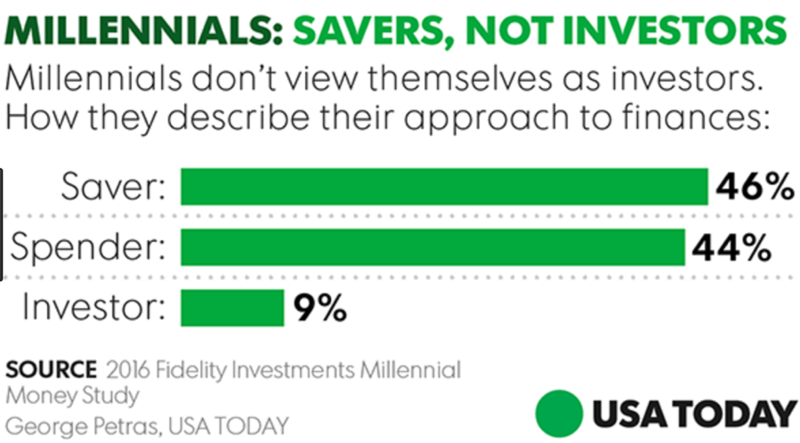 Oftentimes when we read about Millennials investing habits we find contradictory reports. Some headlines claim they are spending their paychecks on kale smoothies and monthly clothes subscription boxes while other headlines state quite the opposite. 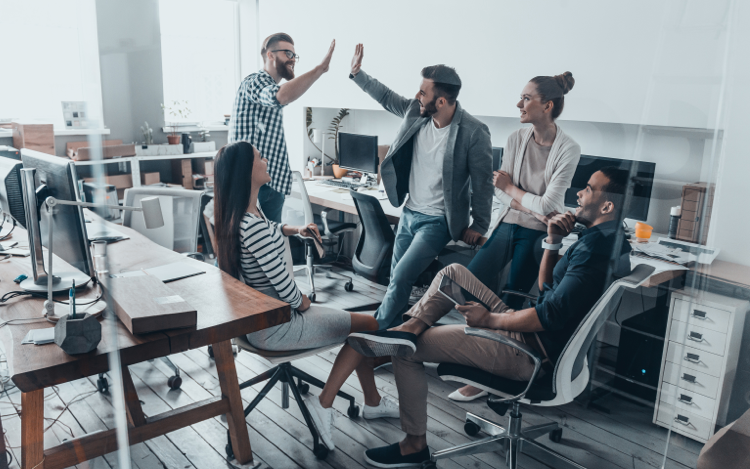 One of the more recent leads on the topic has to do with some Millennials having a six-figure retirement account; and there is even a Fidelity Investment Study to back up the statement. Now you might be thinking these Millennials have high paying jobs, wealthy parents, or little debt, but the truth is some of them had student loan debt and not all worked in high-earning positions. Plus, Fidelity didn’t define them as super-savers – in fact, less than 33 percent of them had an average savings rate of 15 or more percent. But there was one familiar thread weaved through all of their stories – they were consistent when it came to putting money into the 401(k). And now, because of that consistency, most of them are already sitting on a six-figure retirement income. 1. Really dig into your spending habits – Have you really fleshed out your budget, analyzing expenses and savings against your income? Continual overspending will lead to undersaving, and this can spell disaster when it comes time for retirement. Make a list of nonessential spending you do on a regular basis and determine if these purchases are bringing you joy on a long-term basis. By taking your nonessential spending money and saving it (especially when you are younger), you can increase your retirement fund substantially. However, if you continually overspend, you will need to save more money in the long run to catch up. 2. Keep savings automated – One way many Millennials have created six-figure retirement savings accounts is through automated salary deferrals. This process allows money to be automatically taken from your check, and is often considered one of the best approaches to savings (in an out of sight, out of mind way). 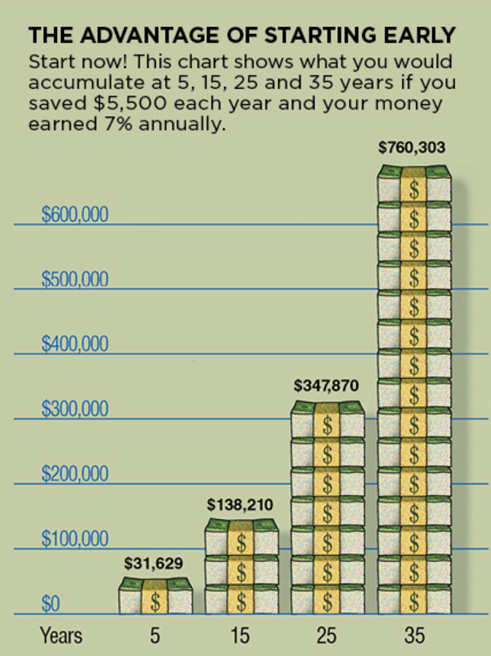 Often times, if we have the money in hand, we are less likely to save it. 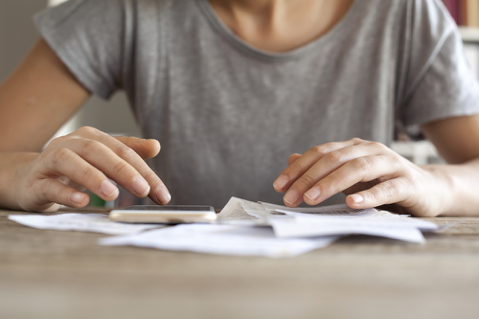 Ask your employer about dividing your check into multiple accounts, an IRA, 401(k), etc. If you are a freelancer, speak to a financial advisor about opening a SEP IRA, which might actually allow you extra savings over a Traditional IRA. 3. Don’t pull out early in volatile markets – One thing to take into account regarding Fidelity’s analysis was the nearly 32 percent compound annual growth rate that was seen over the reviewed ten-year time frame. Fidelity shared this growth rate was due to consistently contributing to the accounts (about 60 percent responsible) and the rest were from market returns. Another major player regarding this growth rate was staying invested even during seasons of market volatility. Many studies show Millennials tend to be more conservative when it comes to stock market investing. If you aren’t certain about your preferred risk level or how much to invest, consider speaking to a financial advisor. Whether you are savings for your retirement in your 30s (or younger/older), working with an advisor to help create a longterm retirement plan can help you get the jump-start you need. And the sooner you get started, the more you can save.